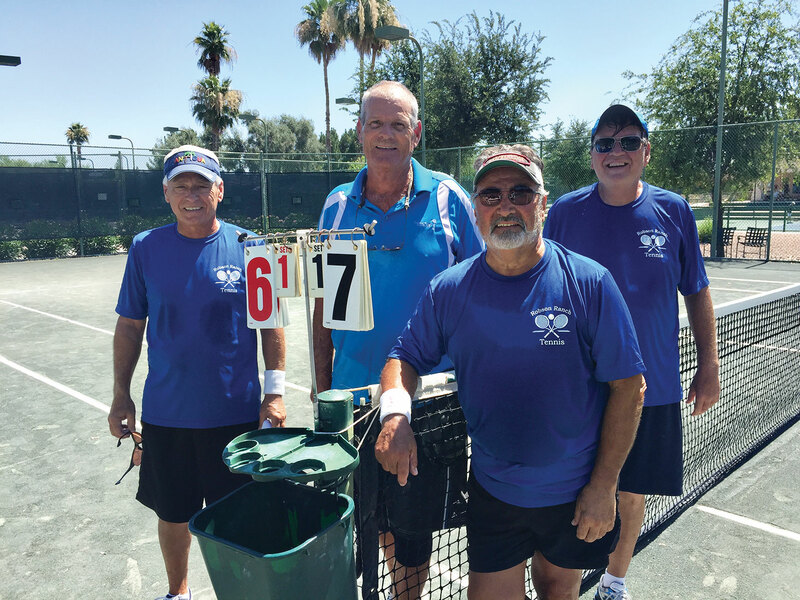 Members from the Robson Ranch Tennis Club enjoyed a week of clay court tennis at the IronOaks Tennis Club June 15 through 19 in Chandler, Arizona. Participants were Azaria Azaria and partner Rami Mayron; Stan Lukasik and partner Jim Sanford; Andy Gayer and partner Eldon Lee; Phyllis Gayer and partner Dee Lee. The IronOaks Tennis Club was very welcoming to the group from Robson Ranch. 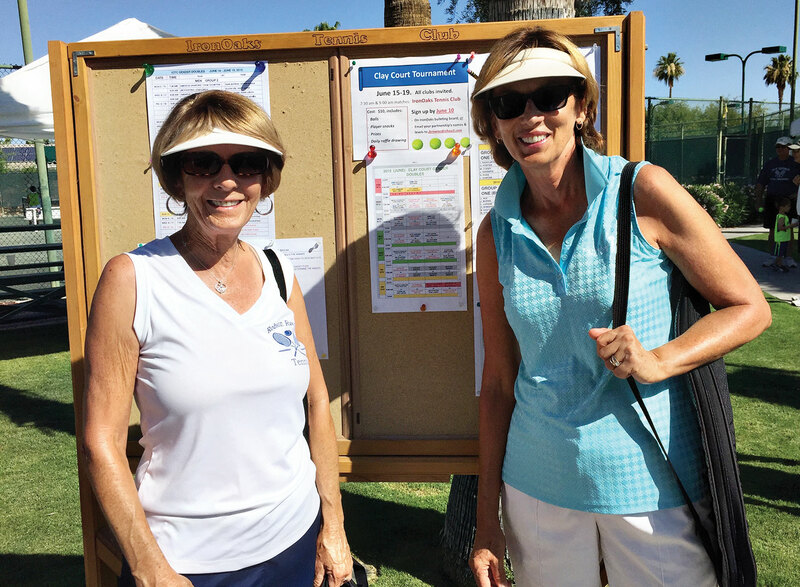 We enjoyed the clay courts, snacks and friendly faces on the warm summer mornings. The clay surface was fun to play on. The ball bounced a little higher, giving more time to get to your shots. The surface was also easier on the joints, a good idea for our retirement communities. 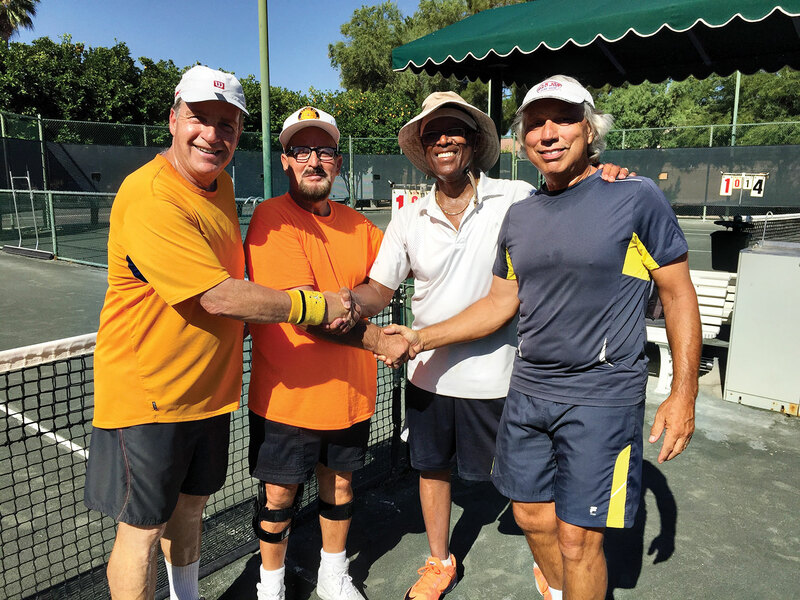 In talking to the organizers of the tournament, they indicated many of their in-house and invitational tournaments are on their six clay courts. They also have 12 regular courts and host sanctioned USTA tournaments frequently.